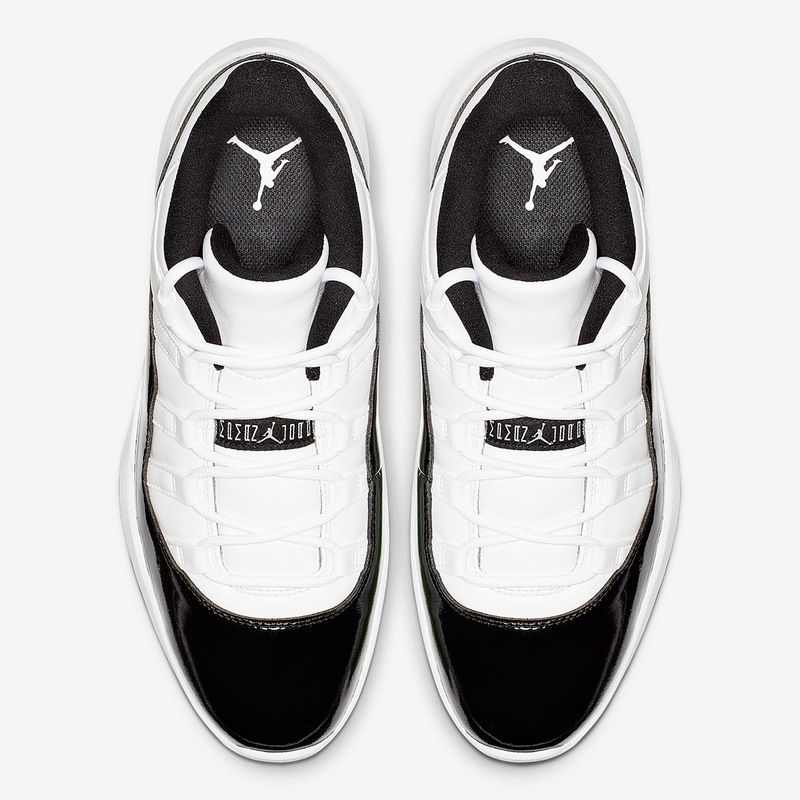 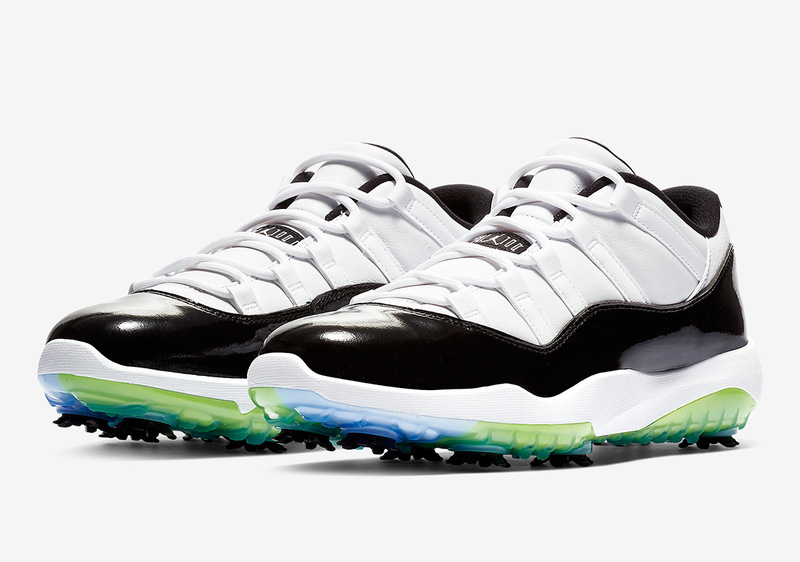 The much-lauded “Concord” colorway of the Air Jordan 11 is ready to move from the hardwood to the green as we get a first look at this prized Jordan shoe in golf form. 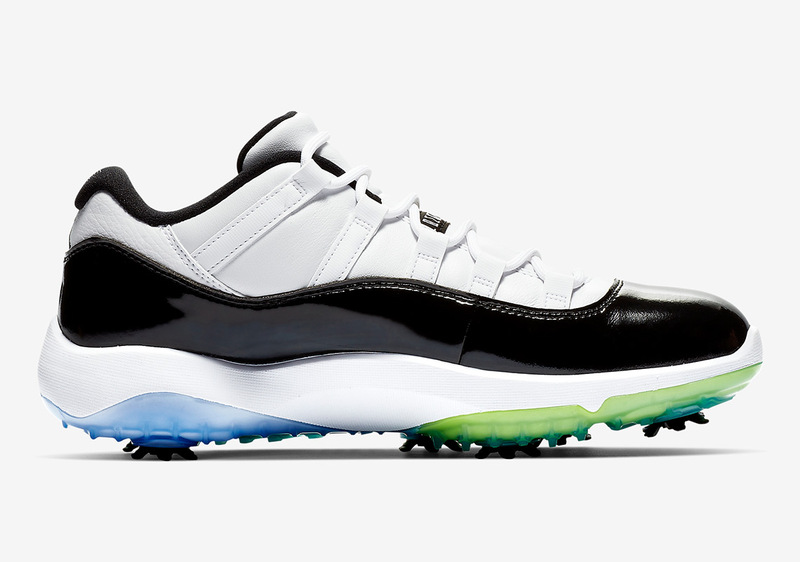 We first saw a version of this nearly two years ago with Jordan athlete Dez Bryant flashed a pair on his Instagram, but these newly revealed photos confirm that this insanely popular silhouette will be made available for a full 18 holes. 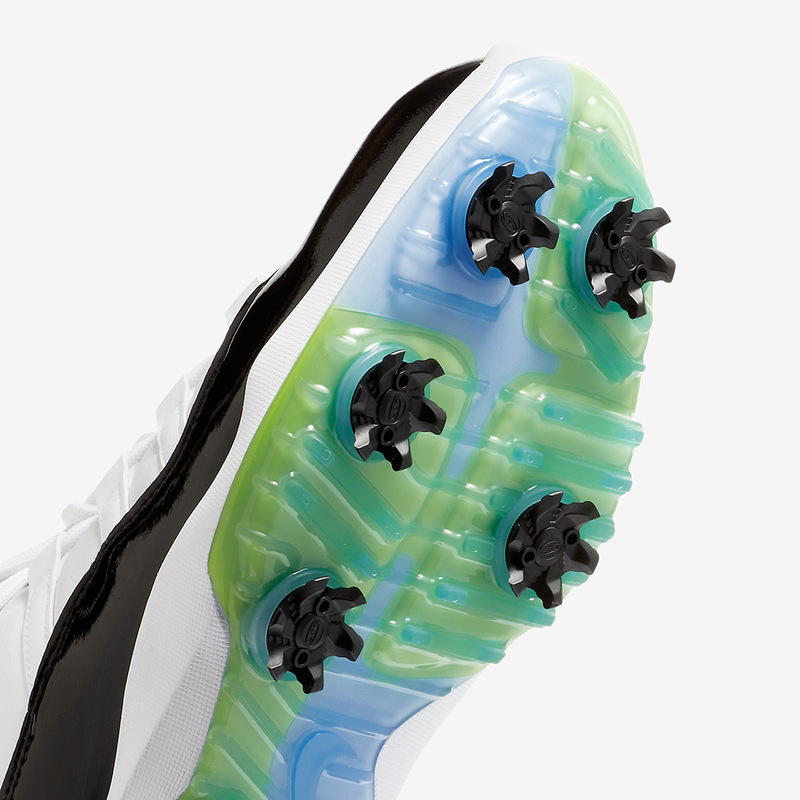 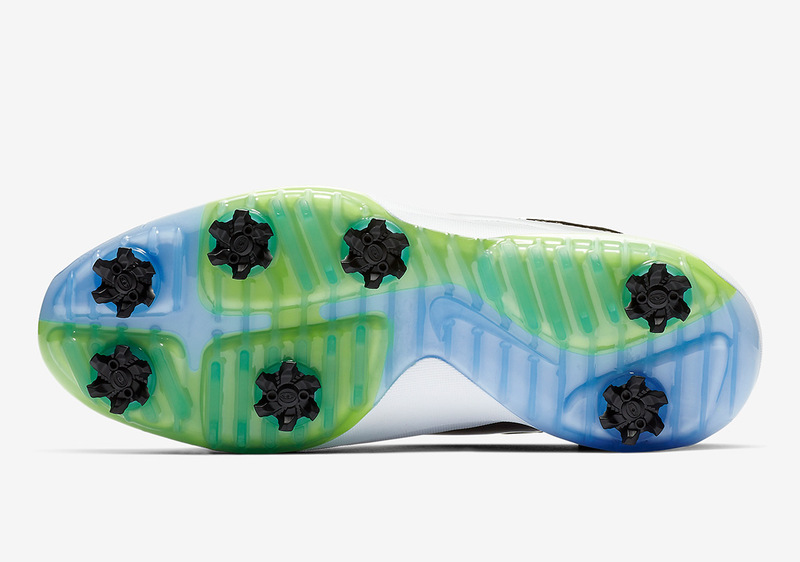 Aside from the spiked soles, the most notable alterations are the leather uppers (opposed to the ballistic nylon in the basketball version) and the tinted nature of the translucent outsole which features the signature icy blue with a brighter green tone. 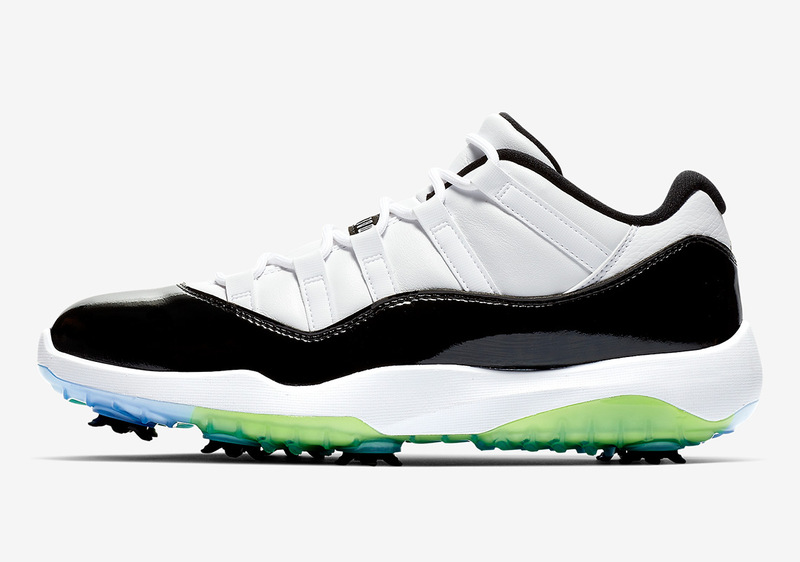 Additionally, this upcoming release seems to be devoid of any actual Concord purple hits, but that won’t deter fans from knighting this issue with that moniker. 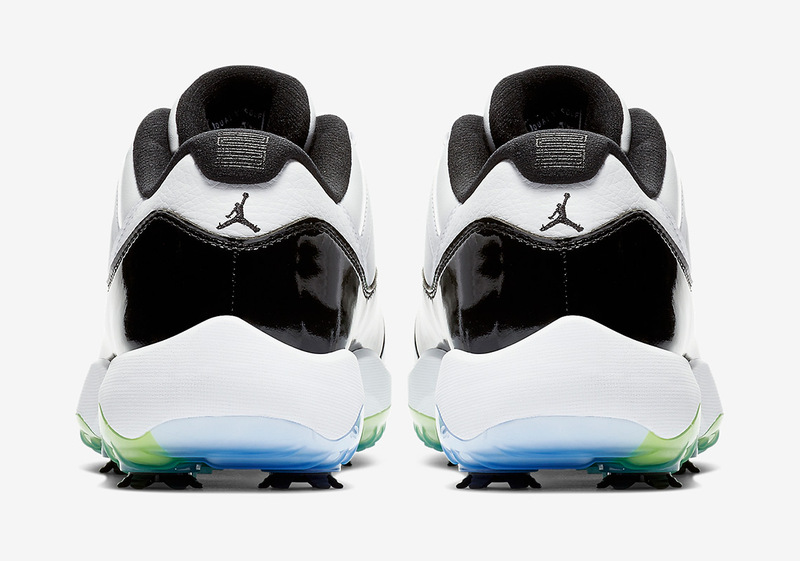 Stay tuned for release details, and in the meantime get caught up with our rundown of 2019 Jordan releases for Spring.